NOVEMBER 2--When Abelardo Aguilar arrived at the Nogales, Arizona border crossing Friday afternoon, the 62-year-old Arizona resident was questioned about the two plastic bags he was seeking to carry back into the United States. 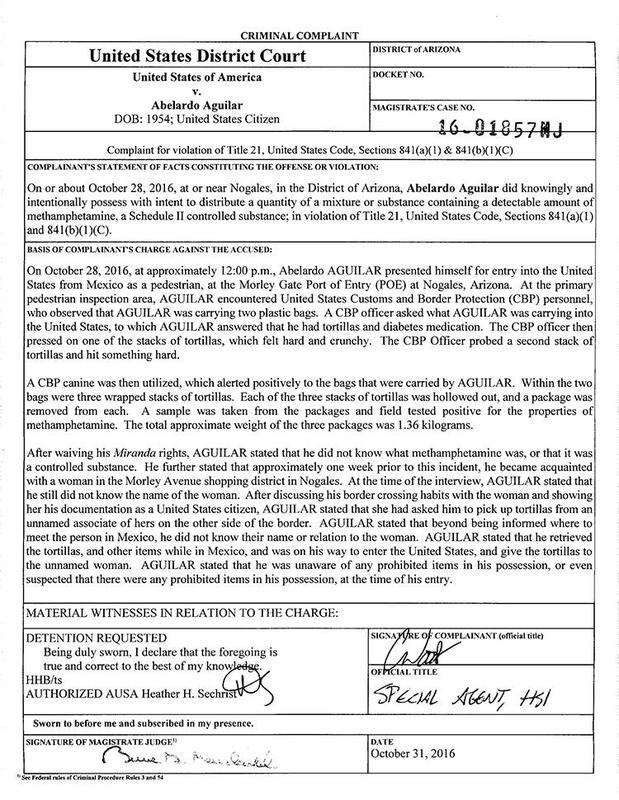 Aguilar explained to a Customs and Border Protection agent that he “had tortillas and diabetes medicine,” according to a court filing. 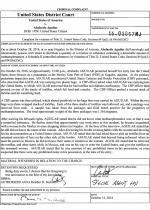 Perhaps because of the abundance of Mexican food products for sale in Nogales itself, the agent decided to examine the three wrapped stacks of tortillas that Aguilar had decided to import. After a drug dog “alerted positively” to Aguilar’s belongings, agents opened the bags and discovered that each of the tortilla stacks was “hollowed out” and stuffed with a package containing methamphetamine. 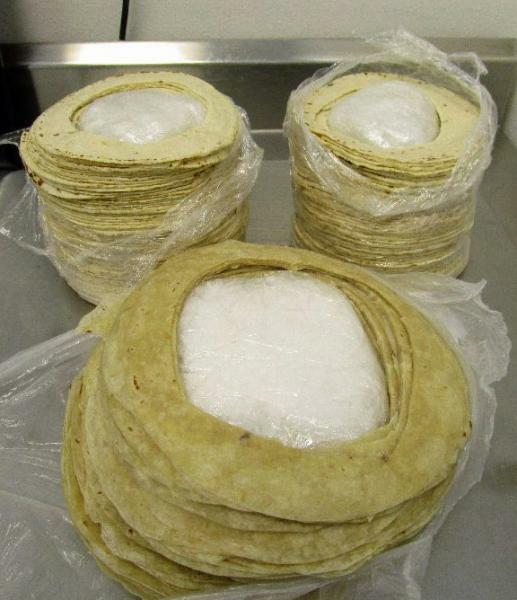 Combined, the tortilla stacks--seen in the above evidence photo--held nearly three pounds of the drug.